Cutting depth up to 1/4"
Hopper capacity .83 cubic ft. Fully adj. for any seed type. 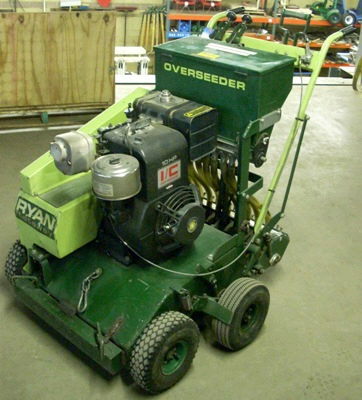 * Please call us with any questions about our overseeder ryan mattaway rentals in Burnsville MN, Rosemount MN, Apple Valley, Minneapolis, St Paul, Twin Cities, South Metro,and Dakota County.